Internet service provider Aussie Broadband has delivered an average speed on the National Broadband Network (NBN) of 88.3 per cent on busy periods, the fastest of six ISPs tracked by the consumer watchdog. The Australian Competition and Consumer Commission Measuring Broadband Australia (MBA) report released on 31 July, provides new data on the performance of NBN fixed-line services, covering six major ISPs - Aussie Broadband, iiNet, MyRepublic, Optus, Telstra and TPG. 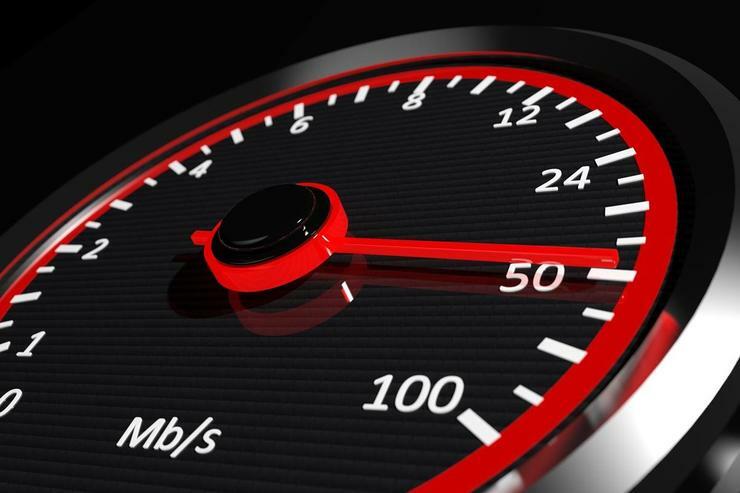 Overall, 70 per cent of all tests continued to achieve download speeds of above 90 per cent of maximum plan speeds, according to the ACCC, which is in line with the results of the first MBA report. However, the consumer watchdog said there is considerable disparity in performance between ISPs with busy hour average speeds of between 74 and 88 per cent of maximum plan speeds. This is the first time Aussie broadband was observed, the same applies to MyRepublic who registered speed delivered over busy period of between 7pm and 11 pm of 74.4 per cent. iiNet dropped 5.2 per cent, with an average speed of 83.4 per cent during busy period. Optus, who was lagging the field, recorded an improvement on the previous report’s result, with 2.6 per cent up, or 83.3 average speed. Telstra average speed dropped 8.2 per cent, with an average of 79.9 per cent over the busy period and TPG was down 5.1 per cent with an average of 85.6 per cent. The report showed that speeds did not reduce significantly in the busy hours -with speeds for most ISPs about 1 percentage point below speeds recorded across all hours, and the download speeds for MyRepublic reducing by 5 percentage points. According to the recent MBA report, there is around seven per cent of consumers who receive less than half of the maximum speed of their plan. The latest MBA report focused on what it calls underperforming services and its impact on overall download speeds. Underperforming services are those which 95 per cent of speed tests conducted achieved less than 75 per cent of the maximum plan speed. "These services do not achieve speeds that approach the maximum plan speeds at any time of the day. Across the six ISPs, there is potential for speed results to improve by between 1.5 and 9.4 percentage points if these underperforming services instead reached close to the maximum plan speed," the report revealed. Sims urged providers to help customers obtain the full speeds associated with the plans they are acquiring. "We also expect ISPs to inform customers of the speeds achievable on their network connections, and better match the plans they offer to those speeds," Sims said. "The recent court enforceable undertakings accepted by the ACCC will help with this.